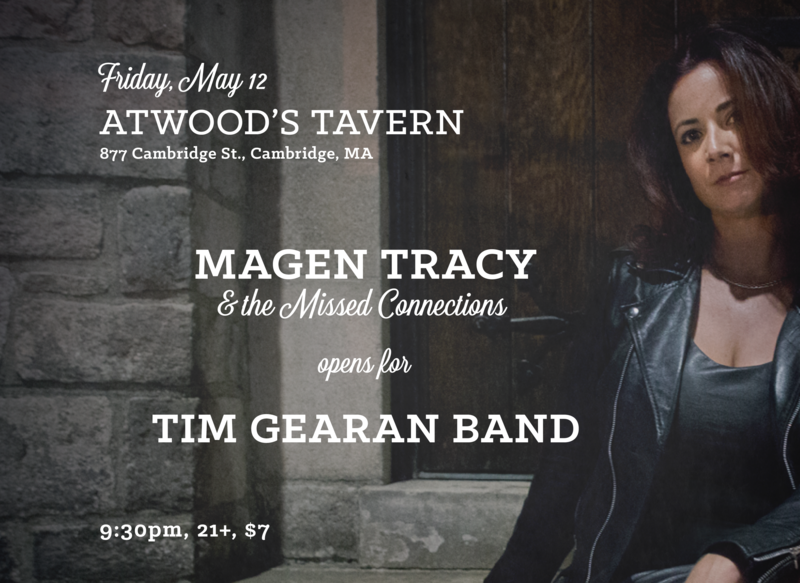 Join Magen Tracy & the Missed Connections for two shows in Cambridge/Somerville this weekend! On Friday, we’re back at Atwood’s opening up for the incomparable Tim Gearan Band with a set of new tunes, old tunes, and a bunch of new, fun covers. Then on Saturday we’re joining an incredible 9-band lineup for Somerville Porchfest from 12 – 6 in Inman Square with Thrust Club, Stars Like Ours, Carissa Johnson, and more.